Among 55 and over communities located throughout Central Florida, few can boast the amazing amenities found at Cypress Lakes. Our safe, gated community is populated by stately cypress trees, beautiful lakes, and a general resort-style lifestyle. With a full-time activities director on staff, our community is always buzzing with things to do. Plus, those who venture outside our gates will find a number of attractions sure to keep even the most adventurous resident busy. There are lots of good words to use to describe life within our community – “dull” isn’t one of them. 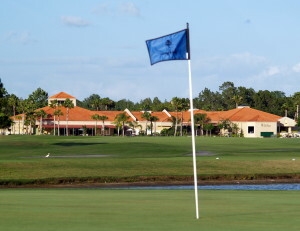 Other retirement communities may have access to golfing opportunities, but the resident-members of Cypress Lakes have two professionally designed golf courses virtually right outside their doors, and have preferential access to the course every day. Our North Executive course offers 18 holes of par-60 executive golf, while the South Championship course is a longer par-72. We have a fully stocked pro shop, staffed by a long-time PGA member who provides the highest level of service and top-notch golf instruction for individuals and groups. By taking short day trips, the residents of Cypress Lakes enjoy year-round access to a wide array of popular attractions. World-renowned theme parks, top-quality entertainment venues, postcard-perfect beaches, four-star restaurants, and other attractions are just some of the many destinations that draw our residents time and time again. For those who like to travel, our community offers easy access to two major airports, as well as the Port of Tampa for those who enjoy cruises. To learn more about the ways Cypress Lakes compares to other 55 and over communities in Central FL, contact one of our friendly Lifestyle Consultants today.